The most important tip is to wear chains of different lengths. Try mixing thin, short chains with longer, thicker ones. Score bonus points if your have three or more chains of different lengths! Another idea is to try wrapping long, chunky stands around your neck two or three times for a similar effect. 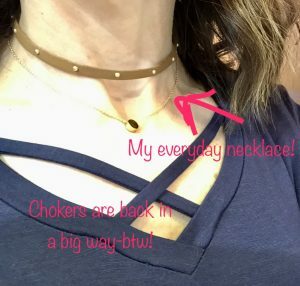 You don’t have to buy three brand new necklaces to make this trend work. Try starting with your everyday necklace and build from there. Pull some never worn pieces from the depths of your jewelry box and add them to the mix. 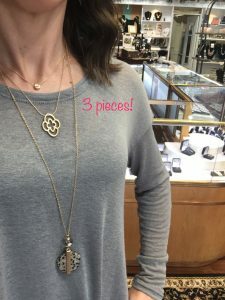 You might be surprised with the results when you pair the old chains with a new piece or two! The neckline of the top you’re wearing will determine what necklaces you should layer. 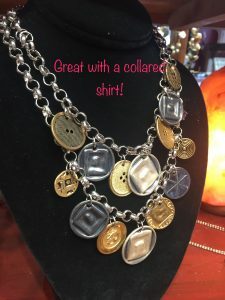 If you’re wearing a collared or v-neck shirt, try a couple shorter necklaces that will be framed nicely in the neckline, with one longer strand. If you’re wearing a crew or high neckline, try several longer strands or a shorter necklace and longer lariat-style piece together. Two of our favorite, layering-friendly jewelry lines here at Fox Gallery are Canvas Jewelry and Refunked Junk. 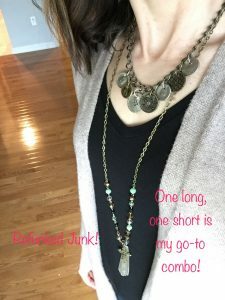 Both lines carry fun, mixable pieces in varying lengths and are great pieces to add to your collection if you love the look of layered necklaces. 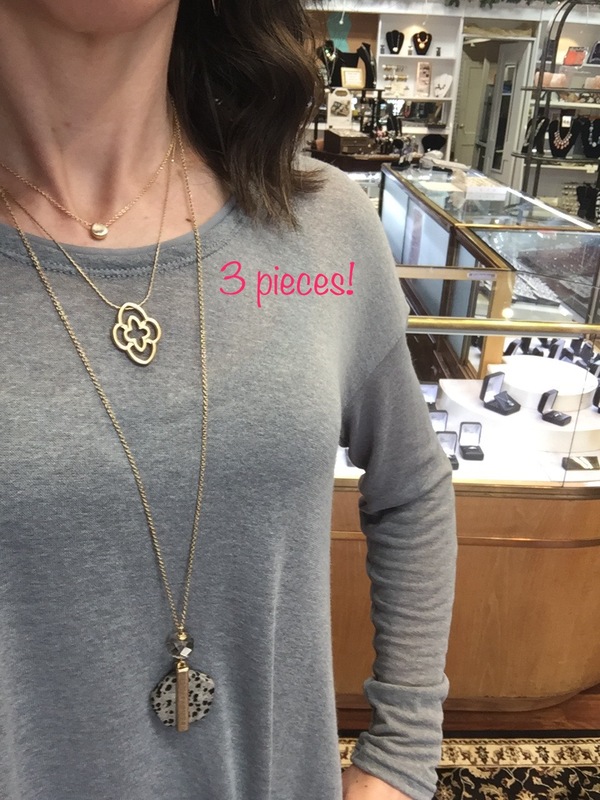 Bring in your everyday necklace and some other favorite (or not so favorite…you never know until you try!) 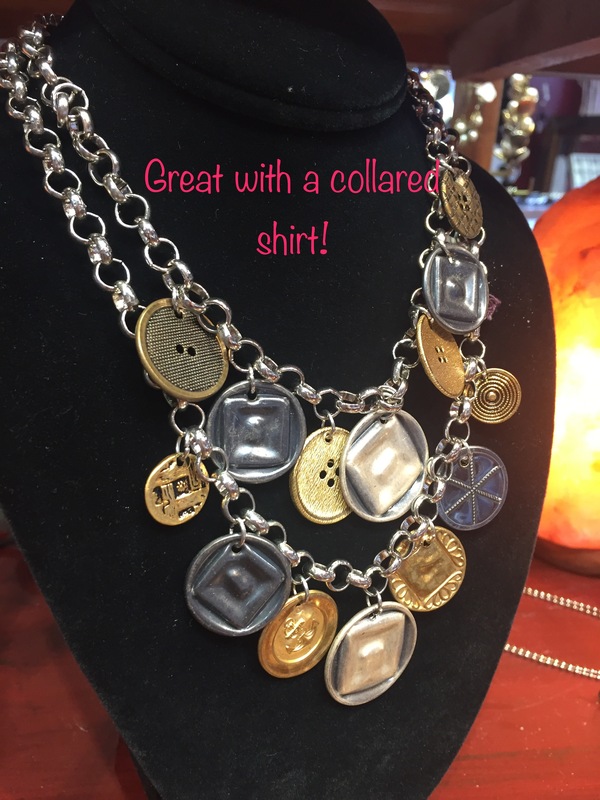 strands from your jewlery box and Fox Gallery will help you layer up and create a look that is uniquely you!